If like us you thought that the public phone was dead, you couldn’t be more wrong. 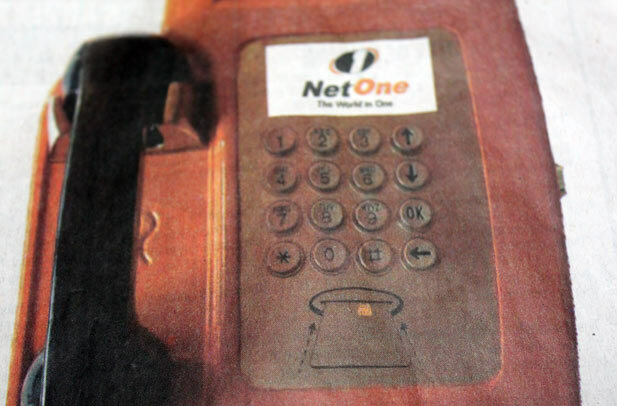 NetOne is bringing those things back. Called the Chatter Box this is essentially a public cell phone where you get to put your own sim card. Design wise it looks more like those Adondo public phones from a couple of years ago. How you use is is that you insert your sim card into a card holder,which you then insert into the Chatter Box. In terms of problems this is solving, we can see two: First, is the problem of there not being enough cellphones in your pockets to take all the simcards you have. It’s a multi-sim market and NetOne may have noticed that a good number of sim cards get active for a short time before going off the network again, apparently after being swapped out for another network’s sim card. The second is that smartphones drain battery fast and you’ve probably more than a few times found yourself in the city on a flat battery but in need of making or receiving an urgent call. As far as we can tell, the use of the Chatter Box is free. For the call itself though, you get charged normal NetOne rates. You can also do stuff like mobile money transactions and other value added services. What we think? They are a good to have kind of thing. We live and work in places where we might never use them, but there may be people out there that will find good use for them. So in an enabling communication kind of sense, they are good to have. In terms of business for NetOne, we don’t imagine that this’ll make a big difference. But NetOne is government and their mandate is not exactly making lots of money. WOW!!! Cool. In this busy world where everything is a rush, they chose to setup public phone booths!!! GREAT. Now all I have to do is take my sim card (hoping that they cover standard, micro and nano sim cards) out of my phone, stay stationed at one point for 20 minutes or so (there might be a que) and then move on? Oh, not forgetting that all my contacts are saved on my phone, not my sim! Seriously? hahahahaha, if its not broken don’t fix it ! i really don’t see any need for this, these guys should instead push for cheaper cellphones than this. This sounds so pre-historic, like we are back to the eighties again. You might as well bring back the Afro and buruka mumumango. What about SIM wear and tear? This has come way too late, how does a project that sounds so silly get a green light. If Netone can snag the attention of it customers by bringing weird devices for use, producing and feeling creative, and then, suddenly, they have run out of ideas.This is a good example of business riding a dead horse, the best strategy is to dismount. It shows that at NetOne they have more time to play than work. I like the idea. Once or twice I have had a battery run flat. The ability to make a quick call without locating a charging point is ideal. Think getting of a bus at road port and need to call friend/family to collect etc. Was any market research done?…The funds should’ve been used for something else…and considering the way zimbos are…honestly who wants to be seen in a payphone queue…. Charging point make more sense – who am I gonna call on this? If my phone is dead, okay I pull out my sim card and call on this orange thing, but OOPS: all my phone numbers are saved in the dead phone. I mean who memorises phone numbers any more? Charging points make a lot more sense. the chatter box has a phone book ability if you have some of your contacts saved on your sim card. I have used it and managed to get my contacts so please back up your contacts to your sim card nd try it. eish eish ever1 seem to be against this move… Well. If everyone ownz an airplane does it mean we are goin to stop making cars. even a big nation like USA stil has public fones yet almost every1 in that country has a mobile fone. netone ddnt say we r going to take yo celfones and force u to use public fones. this is merely a gesture of goodwill to the pple. a situation wil come when one of u wished there was pun fone nearbye after mising out on a million dollar deal. give it a thot before making premature conclusions.